Rita Richey, 66, died Thursday, September 6, 2018 at Rhea Medical Center. A longtime resident of Spring City, Rita was the daughter of the late Harold and Margaret O’Neil Caudill. She was a homemaker and attended the St. Bridget Catholic Church in Dayton. Rita loved to make people laugh. She enjoyed her family.Rita also loved to draw. Rita was preceded in death by her sister Peggie Johnson. 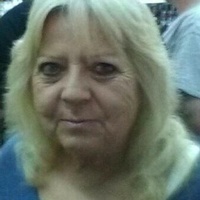 She is survived by her daughter Amanda (Scotty) Fritts of Spring City, son Jonathan Richey of Athens, Tennessee, brother Pete Caudill of Detroit, Michigan, four grandchildren and several nieces and nephews. Graveside services are Saturday, September 8, 2018 at 1:00 pm at the Spring City Cemetery with Father Sam Sturm officiating. There will be no visitation. Vaughn Funeral Home, Spring City, Tennessee, is in charge of arrangements. Please share your condolences and memories of Rita on our website www.vaughn-funeral-home.com.